Thanks for choosing OC Cloud9! HIPAA Compliance, an all familiar buzzword in the Healthcare Industry has been one of the many catalysts pushing change in current Cloud Solution infrastructure parameters and security solutions provided by specialized IT Solutions providers. 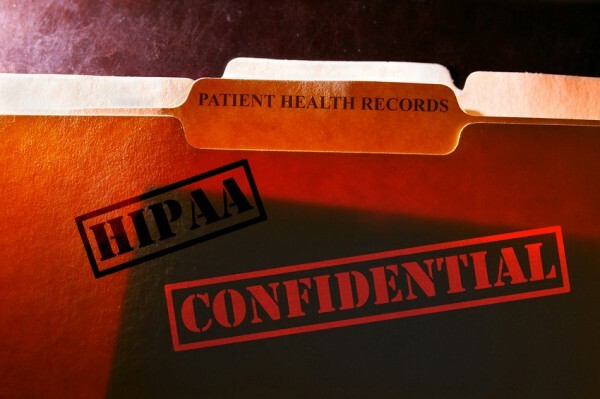 The growing demand for HIPAA compliant Cloud Solutions creates many potential patient health information (PHI) data breaches for practitioners that may not be properly informed by their IT Solutions Provider. So what exactly can IT Solution Providers do to keep their clients compliant? Medical and Dental Practices have been subject to site reviews and chart audits for decades. The criteria for these audits has obviously transformed with the times as well. In 2009, when the American Reinvestment and Recovery Act was passed, the HITECH Act was pushed through congress at the same time. The purpose of the HITECH Act was for the United States to implement a nationwide Electronic Medical Records database which was to be the foundation for the Health Care Reform Act that President Obama so eagerly wanted to pass. Providers were incentivized for early adoption. The sociological benefit of having this type of national database would be to assess our nation’s health as a whole, engineering federally funded disease management programs, public health campaigns and disease prevention initiatives. One could then say that this would be tied into the Healthy People 2020 Initiative which charges our nation to improve identified health benchmarks among certain age groups and populations with identified health issues (diabetes, hypertension, obesity, depression, etc.). Hence the data would be used to justify national studies of wellness factors and disease states, launching health promotion campaigns. Effective in 2013, HIPAA Technology Solutions Providers are now held accountable for the infrastructure and security firewalls/encryption from the location housing the data that is provided to health care providers when storing and accessing patient health information. This new audit criteria until now was uncharted territory for regulatory agencies. Prior to 2013, medical and dental practitioners would be held accountable for their compliance. Now IT Solutions Providers are responsible for the encryption and security protocols as well as a portion of the fines associated with breaches. This new compliance variable makes it even more imperative for health care providers to work with IT Companies that are versed in HIPAA regulations and experienced in providing the correct security infrastructure and access required. The adoption of Electronic Medical Records technology and patience confidentiality truly was the catalyst that sparked the fire of compliance required today. Health Care Providers need to choose a competent and experienced IT Solutions Provider to protect electronic medical records in a secure HIPAA compliant environment. For further information about HIPAA Compliant Cloud Solutions, contact a member of our OC Cloud9 technical team at (949) 699-6619 or contact us by clicking here. Deborah is the Director of Network Operations at OC Cloud 9. She oversees the daily Operations of the company. She has been working with Orange County Computer, Inc., the parent company of OC Cloud9, Inc., since 2003. Prior to working in the IT Industry, her area of expertise was in regulatory compliance in the Healthcare Industry working with state and federal regulatory agencies. She acts as our interpreter regarding all HIPAA Privacy and Security Rules. Deborah's office mantra is "Keep the client happy" and she will act as the liaison between a client request and a technical barrier to resolving as issue. She is happy to help. In her spare time, you might find her paddle boarding in the ocean or skiing in the mountains. ← Mac Malware is Coming! Protect your data: Move to a private cloud solution! Cloud Solutions and Disaster Prevention…How will you protect your business?